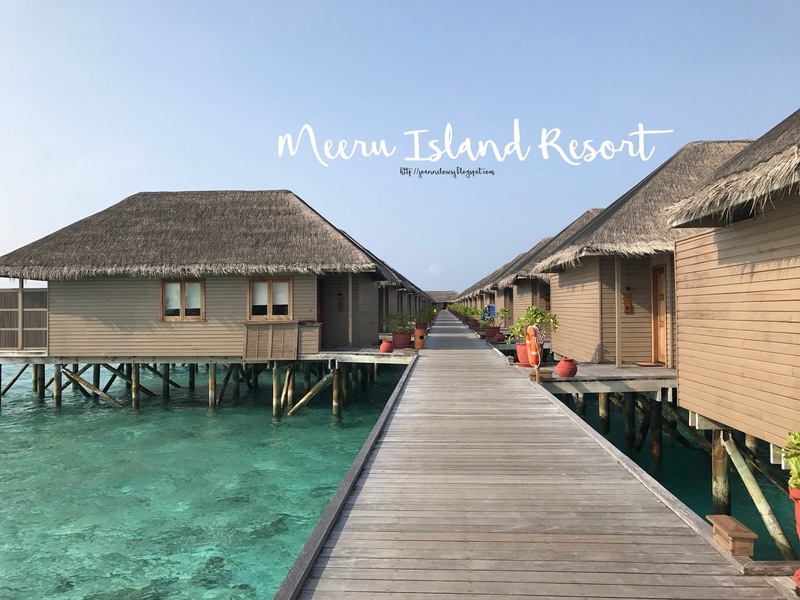 After comparing a few resort, we choose Meeru Island Spa Resort because it is value for money. Upon check in, I was surprised by how huge the room was! Plus there is even a jacuzzi tub in the toilet. The bed was big, comfortable & I fell asleep immediately for both nights. Although there is some weird sound coming from the electrical points, I feel that it was much of an issue to me. Unlike what the reviews on trip advisor mentioned, the service was pretty mediocre. Although we had an assigned waiter to serve us during our stay in Meeru, the overall service can be very subjective. One good point about assigned waiter is that he knew what we like and would always greet us with a big smile. In fact, i was quite impress by him. All smile and great work attitude. However, all the guest he was assigned to were seated far apart and we had trouble getting his attention. When we turn to his colleagues, he told us to stop calling him and wait for our own waiter. “Enough!” was the response I got when I was smiling at him. So each time we wanted to get a new drink from the waiter or the bill, we had to wait for 10-15 minutes even though there others around us. They wouldn't want to come over. Although disappointed with his response and service, I’m glad that the assigned waiter to us was nice and friendly. We went snorkeling on our second day and thought that there are not much marine life. Although the water is clear but don't expect too much marine creature. We did saw a manta or sting ray from a distance. If you are planning to snorkel quite often within the resort, you might want to give this place a miss! Plus they do provide excursion to reef house at no charge! Unlimited trips to reef house is something I thought will be good for people who love to be out in the sea. Also, sunset cruise was free for all-inclusive guest. 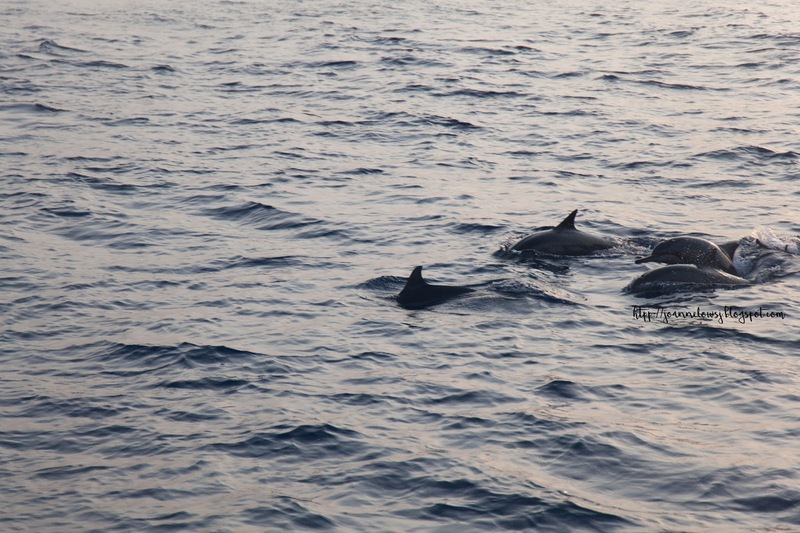 & yes we did saw Dolphins! Plus the weather was perfect that evening! What I love most about Meeru Island Resort is that they allow us to use the facilities even after we check out. As our flight is late at night, we are still entitled to lunch and all-inclusive package. Even upon arrival, they let us have our lunch! How sweet! H & I had lots of fun in Maldives! If given a chance we would love to visit a different resort that Maldive’s offers! We would try out water activities such as Kiteboarding or chill at an infinite pool that over see the great ocean. Here's what Things to consider booking your Maldives Resort . Hope it helps! Hi Joanne, I have booked Meeru for my upcoming honeymoon trip and your post is really insightful! My departing flight is also late at night thus I wonder on the last day after we check out at noon, is there a place where we can keep our belongings, then go for the reef house trip at 2.30PM to snorkel and have shower facilities when we return at 4.30PM? They will store your belongings at the baggage after you check out. Not sure about the reef house trip but you can still use the facilities as well as having your meals/ teabreak at the designated restaurant after you check out. Do take note of the boat time to Maldives airport because i remember they charge a fee for boat going out the evening. Congrats on your marriage and hope you have a great honeymoon trip!